Lot Detail - 2013 Topps Heritage Bsbl. “Chrome Refractor” #HC10 Mike Trout, Angels- #27/564. 2013 Topps Heritage Bsbl. “Chrome Refractor” #HC10 Mike Trout, Angels- #27/564. 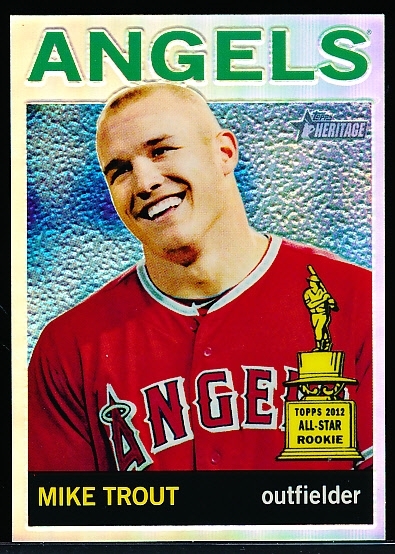 2013 Topps Heritage Bsbl. 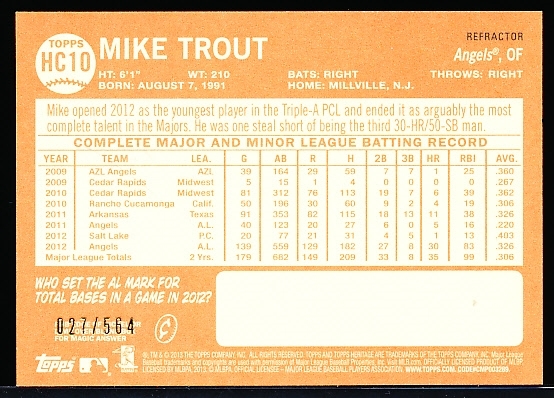 “Chrome Refractor” #HC10 Mike Trout, Angels- NrMt+, #27/564.